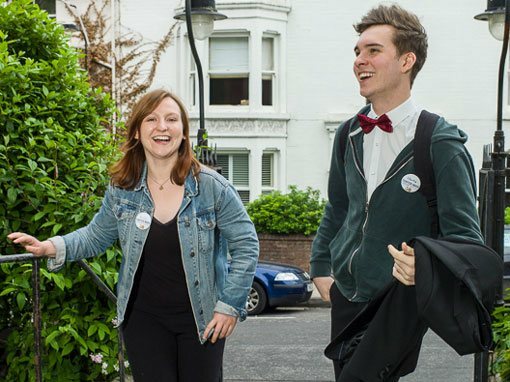 Looking to join an excellent chamber choir? The Chapter House Choir is recruiting tenors! 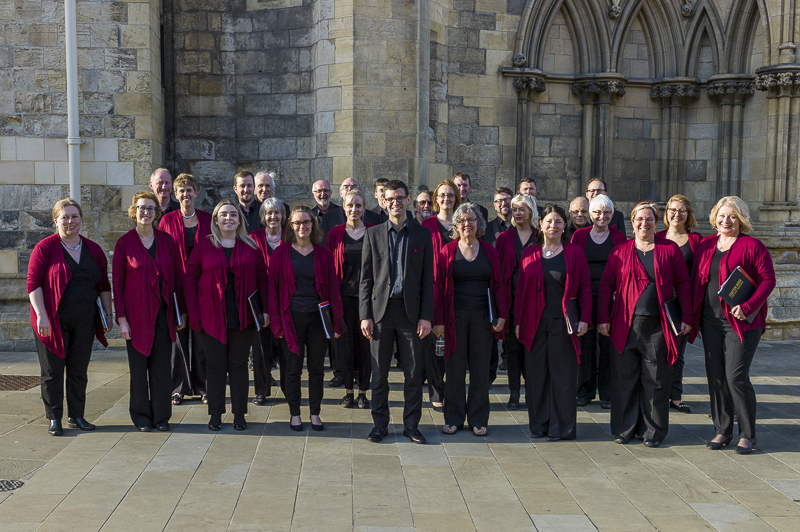 The Chapter House Choir has a long association with York Minster and enjoys a reputation as one of the premier chamber groups in the region. 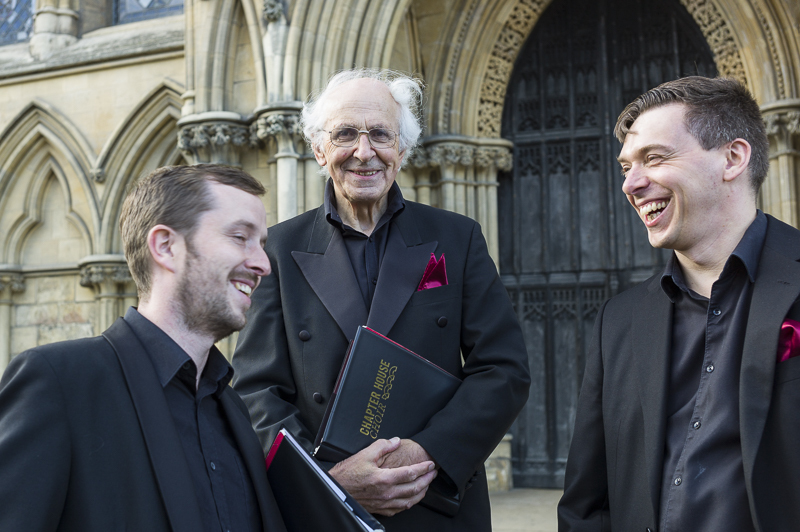 Known for our frequent commissions of new music, we have recently collaborated with The King’s Singers, John Rutter, Judith Bingham and Alexander L’Estrange. The Choir is directed by Benjamin Morris, Assistant Director of Music at York Minster. Rehearsals are weekly on Tuesday nights in central York, between 7:15 and 9:15 pm. To arrange an audition please use the button below! The Chapter House Choir is seeking singers in all voice parts to join its main body of singers and/or augment the choir for specific projects. There are specific vacancies for tenors at this time. Singers should possess strong musicianship, sight-reading skills, a sense of humour and a delight in new challenges. To arrange an audition please contact us. 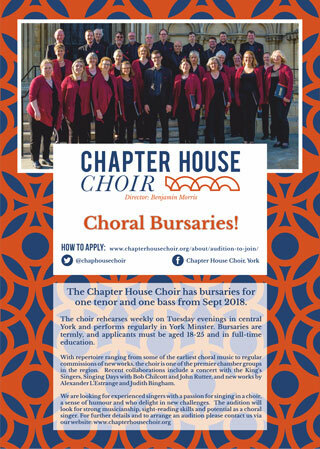 The Chapter House Choir, York is offering a limited number of bursaries (one per voice part) to talented young choral singers aged 18-25 in full time education to join its main body of singers. Singers wishing to apply for a bursary should possess strong musicianship, excellent sight-reading skills, and a delight in new challenges. For further details and to arrange an audition please contact us.